share my experience for the potential benefit of other researchers. transportation and efforts on teaching them the local language. hiring people who live locally. candidates and to my surprise, all of them fulfilled all the criteria. Obviously, I had to devise a new, effective filtering mechanism. This was a much better exercise as outcomes were objective. and a recalculation of our expectations. 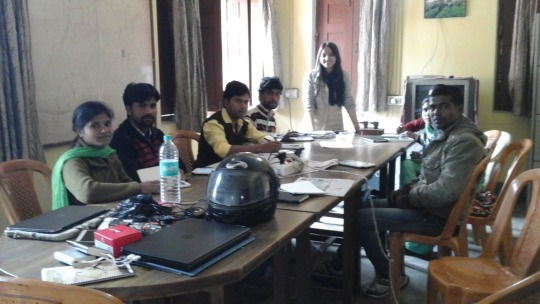 team of 6 enumerators was expected to cover one village per day. and refreshments; make appropriate arrangements for the same. second survey, this time as a competent supervisor and a dear friend. the project, but be aware of where to draw the line. was done, but the enumerators were kept blinded to our treatments. unnecessarily nudging the respondents and suggesting the answers implicitly. 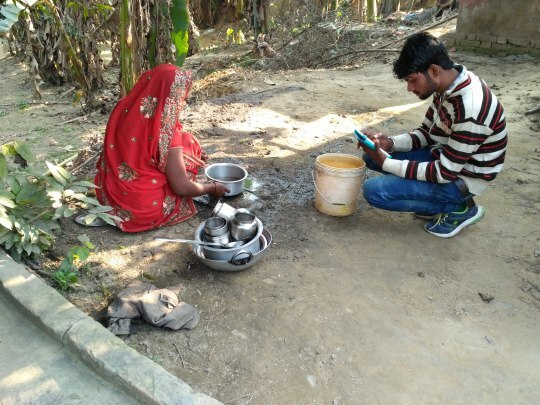 In time, the enumerators became adept with tablet-based survey technology. transportation they used to come to the office (multiple responses). with me and the supervisor, and even practice interviews with the staff at GDS. enumerators really grew in their confidence and skills. They were ready to head to the field. study village for the pilot test. kept under strict supervision for the next 3 days. of the team was welcomed. in the form (it’s exceptionally useful for data monitoring later). once during the enumerator training). the team. Compromise on the latter and the former will undeniably suffer. Our complete team: 6 enumerators, field supervisors, partners from GDS and myself. Thank you all for your hard work and dedication! Payal Seth is a second year Ph.D. student in the field of Applied Economics and Management at the Dyson School. 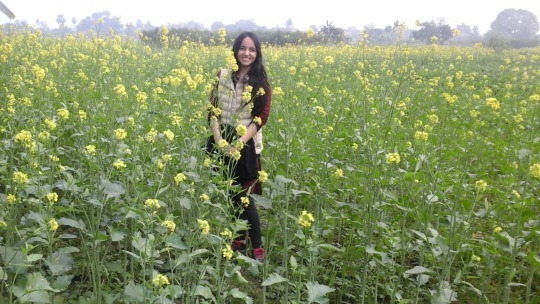 As a TCI Scholar, her fieldwork focuses on linkages between sanitation and nutrition. 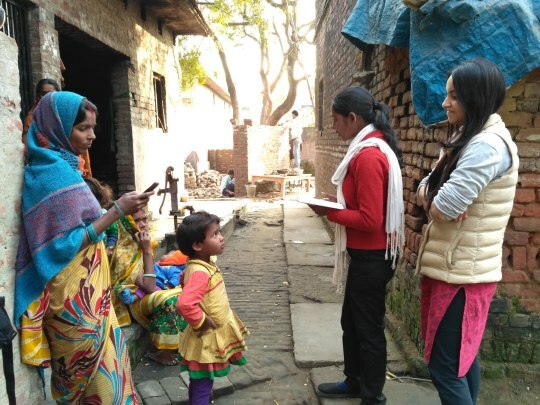 Working with the partner NGO Grameen Development Services, Payal is examining the behavior change methodology known as Community-led Total Sanitation which stimulates a collective sense of disgust and shame among community members as they confront the crude facts about mass open defecation practices and its negative impacts on the entire community.